Deep freeze 7.0 not showing in notification area, Help!! Hello There and Welcome to a new tech tip, this time we will be addressing Deep Freeze 7.0 and how to fix the icon not showing in the Notification Area, and the solution is not related to the Notification Area at all. If you ever notice that your folders are reverting to their default without you changing them, you came to the right place. 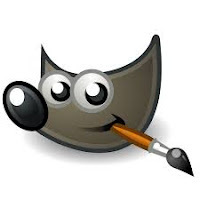 Make Gimp 2.8 Look Like Adobe PhotoShop CS3! Hello There and Welcome to a new tech tip. today we will make gimp look and feel like PhotoShop CS3 via some very simple steps, please read ahead! Hello There, and welcome to another tip made easy. Recuva Suddenly stopped working and crashes on start, doesn't even pass the wizard, whats wrong?? Gimp 2.8 Blinking Problem Solved!! If you installed the amazing Gimp 2.8 and enjoyed working on it as much as I did, you would be interested in reading this! Here I try to put solutions to Problems I couldn't find on the internet, or stuff i have encountered along the way, i hope you like being here, and most importantly make use of it.